While in Paris I am pretty sure my daily sugar intake exceeded ones recommended weekly intake. We are talking three desserts a day with absolutely no guilt due to how much we walked (over 125 miles over the course of the trip). Being the macaron enthusiast that I am I was absolutely thrilled to be in a city that had macarons as accessible as sweet tea is in the south. 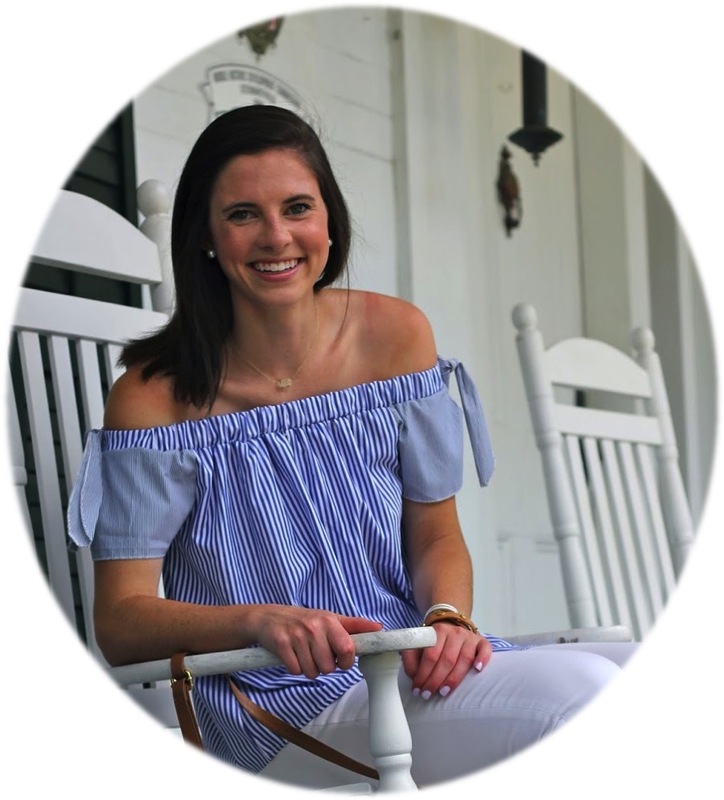 Last summer my big (in my sorority), Caroline, spent a month in Paris and during her time sought to find the best macarons in Paris. I absolutely adored this idea so I decided to take on this task for myself. With many recommendations from her of places to try macarons and Paris must sees in general my tastebuds were quite eager to get started! If you are headed to Paris anytime soon I highly encourage you to take this on as your own task seeing as it is an extremely tasty one! 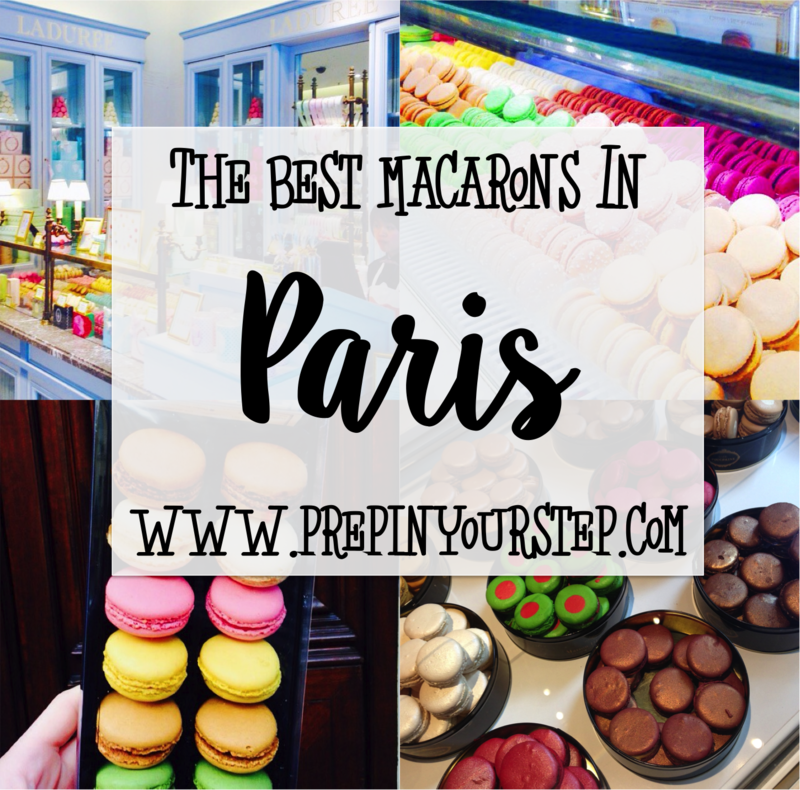 When taste testing macarons to compare for this post (and my own enjoyment) I compared vanilla macaroons to remain consistent and because that is my favorite flavor. Somehow the vanilla ones tend to be so crisp and tasty that I couldn't help to have an excuse to order more than one every chance I got! 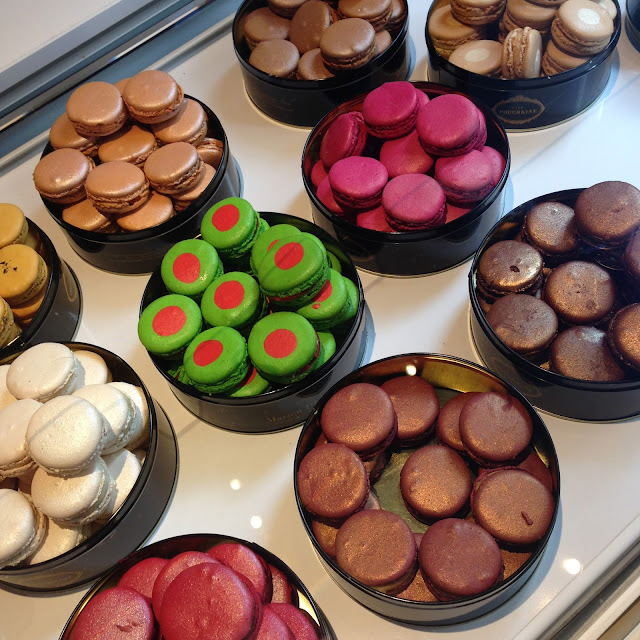 - the flavors were really delicious and they had the best caramel macaron I've ever had! The best vanilla macaron I had came from… Cafe Pouchkine! While I am no expert in macaroni taste testing I had so much fun writing down what I thought about each of the places I went to and it gave me an excellent excuse to stop into all sorts of macaroni shops (although now looking back I wish I would have gone to more)! Also as an extra surprise here is a video I uploaded of what I purchased in Paris and London! Macarons are my favorite! I hope I get to travel to Paris some day & try them there. Pierre Herme gets my vote. There's nothing like picking up some macarons on Rue Boneparte and wandering over to Jardain du Luxembourg to have a snack.